Happy Birthday, That's not my... Win an enormous set of 30 books! For the smallest booklovers, let's celebrate 20 years of the bestselling touchy-feely series! With textured patches to touch, bright and bold colours, and a little white mouse to find on every page, babies and toddlers love these books. That's not my... is designed to help develop sensory and language awareness. Each book allows children to explore the textures of the world around them with a fun animal, vehicle, or character, including a mermaid, unicorn, giraffe, llama, tractor, and many more. One lucky Caboodler will win a massive set of 30 books in the series, including a sparkly special edition of the very first book, That's not my puppy... 10 runners-up will also receive five books each. 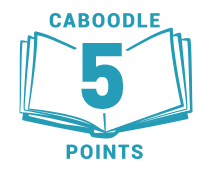 Enter now and collect 5 Caboodle Points.